I started writing this week's post about comedians Tom Green and Laurie Kilmartin (who are appearing this weekend at Cobb's Comedy Club and Punchline respectively). 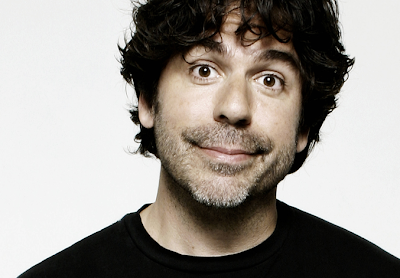 That was until the comedy world was struck a savage blow by the death of one of their own: Greg Giraldo. "However unprofessional and un-PC the comedian’s rants might have been (let’s just say he’s managed to work Anne Frank into an insult or two), the comedian was the figure of professionalism. He was committed to his craft, methodically delivering punchlines while continually staying relevant in the ever-changing culture of comedy, never once sacrificing his trademark acerbic style. (Of course, that’s exactly the kind of dedication you’d expect from a former lawyer and Harvard Law graduate.) Sometimes, while watching him on-stage, it seemed as though he didn’t even have to try to be hilarious." In closing, I'd like to leave you with a few of my favorite Giraldo routines. Greg Giraldo, you will be missed.